An ancient power is about to awaken. Erica Brown has always had trouble with the rules. The special archaeological dig in Antarctica was supposed to be a path to redemption, a chance for her to escape university conduct probation and looming threats of expulsion. But the moment she laid her hands on the dig’s prized artifact, it cracked. Now mythological creatures are trying to kill her. And her friends wield the power of ancient goddesses. Indrani bears the healing touch of Ganga. Seika wields the fire of Amaterasu. Birgit possesses the thunder of Thora. And Calista wields the mirror of Aprhodite. But no ancient goddess chose to work through Erica. Her next misstep could be a death sentence and she’s powerless to help her friends. Can she discover her hidden strength in time to solve the mystery? 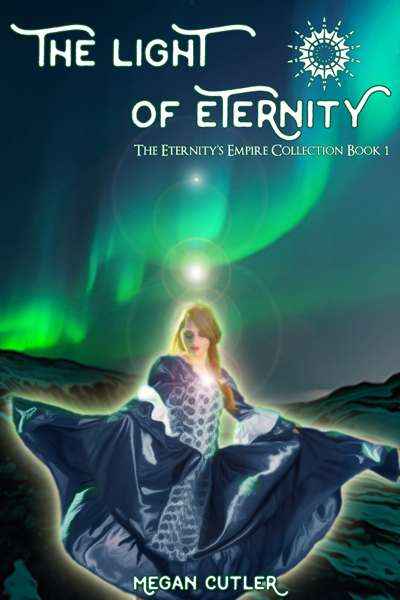 This book contains chapters 1-5 of the Eternity’s Empire saga (Crystal Shrouded Goddess, Light of Eternity, Curse of Chronos, Dance with Death, and Dark Rituals), previously published separately.